The bold vision for the future of the former Army ammunition plant site in Arden Hills took another major step earlier this month, with announcement of the developer whose job it is to make it a vibrant place to live and work. Alatus LLC of Minneapolis — the developer that partnered to revitalize that city’s troubled Block E downtown into Mayo Clinic Square — was selected to deliver on the Ramsey County project’s promise: returning idle land to its role as a job-producing, tax-base-supporting area. That matters, in the region’s most diverse county and the one with the most concentrated areas of poverty. The property — now called Rice Creek Commons — could add 4,000 jobs and, based on an early estimate, at least $10 million to the tax rolls of the county and other jurisdictions. Development could begin as soon as 2017 and would continue for 10 to 15 years. “It’s about creating a better county,” Commissioner Rafael Ortega, a member of the Joint Development Authority of county and Arden Hills officials, told the editorial board this week. The site is the largest parcel of developable land in the only county in the region defined as “fully urbanized” by the U.S. Census Bureau. The anticipated gains come with upfront investment from Ramsey County taxpayers, who funded acquisition and cleanup costs of about $30 million for 427 acres at what’s considered a prime location at Highway 96 and I-35W. The county could spend an additional $16 million on infrastructure improvements. We’ve been consistently cautious about the project, citing risks, including the impact of market conditions and concern about the county adding economic development to its traditional responsibilities, which include the demands of delivering human services. 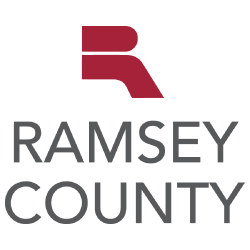 The developer, who will team with others on commercial and residential components, will negotiate with Ramsey County and the city of Arden Hills on a development agreement for the site, and with Ramsey County on a purchase agreement. Both are expected to be completed this year. The county’s investment will be recouped through a variety of sources, including land sales and taxes, Deputy County Manager Heather Worthington told us. “This is never intended to be a situation where the county is underwriting this property long term,” she explained. “This was intended to be a strategic investment that would spur private investment,” providing a significant return. Alatus Principal Robert Lux is optimistic. From an economic standpoint, there “couldn’t be a better time to do this project,” he told us. The vision for the site calls for a vibrant community for people at all stages of life and a walkable place featuring a network of trails, green corridors and pedestrian-friendly streets. The Pioneer Press reported that Alatus was selected because its vision “seemed most likely to spawn a distinctive and exciting community as quickly as possible.” Lux describes a coordinated effort, with amenities that will include retail outlets, restaurants and parks and trails where one good thing builds on another to boost vitality. A focus on jobs is a fitting one for a site with a workplace heritage; 26,000 people were employed there at the facility’s peak during World War II. Decades later, jobs will remain the key to the best possible return on Ramsey County taxpayers’ investment in the site.